Play a card from your hand, place a chip on the board. Stack up three of your chips and it’s a crown. Two rows of 3 crowns – YOU WIN! Use your strategy to stop opponents and crown your chips first!! 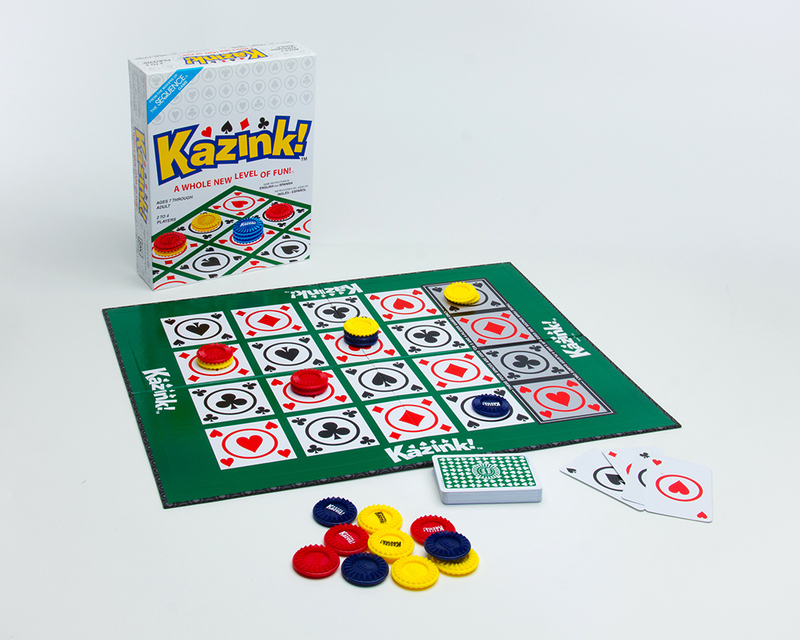 When you think of FUN, think KAZINK!